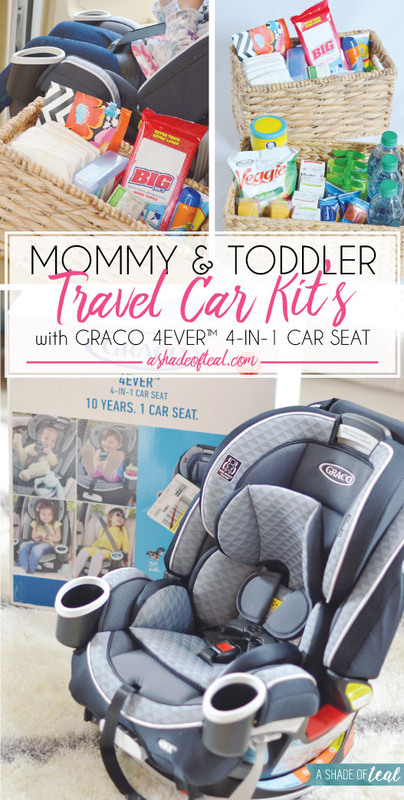 Mommy & Toddler Travel Car Kit’s, & What to Pack! Having a 5 month old and a 3 year old makes it incredibly challenging getting out the door. Most days I’m rushing to get both kids dressed, myself dressed, and then the diaper bag packed. Most days also result in me forgetting something! This is why I now have a Travel Kit for my Car. 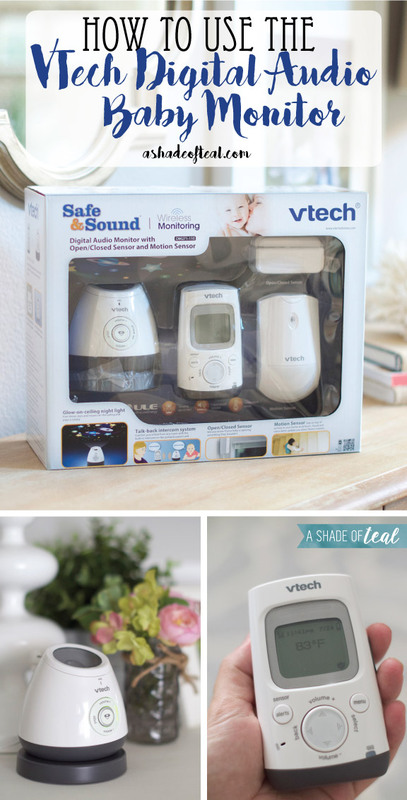 It includes everything mommy, toddler, or baby could need! Since adding the Travel Car Kit, I also recently updated our car seat for my youngest. I wanted something that keeps up as she grows. I ended up finding the new Graco 4Ever™ 4-in-1 Car Seat at Target. My 5 month old is perfect for Stage 1, the rear-facing position since she weighs 14lbs. Installation is super easy and quick. Make sure to fully read the instructions to properly install. 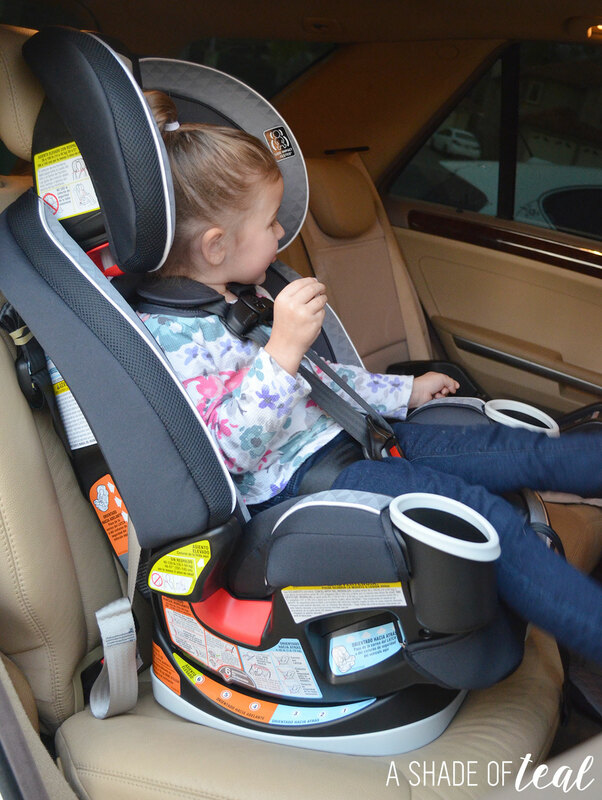 The 6-position recline offers multiple options for your little one to sit in both rear-facing and forward-facing positions. 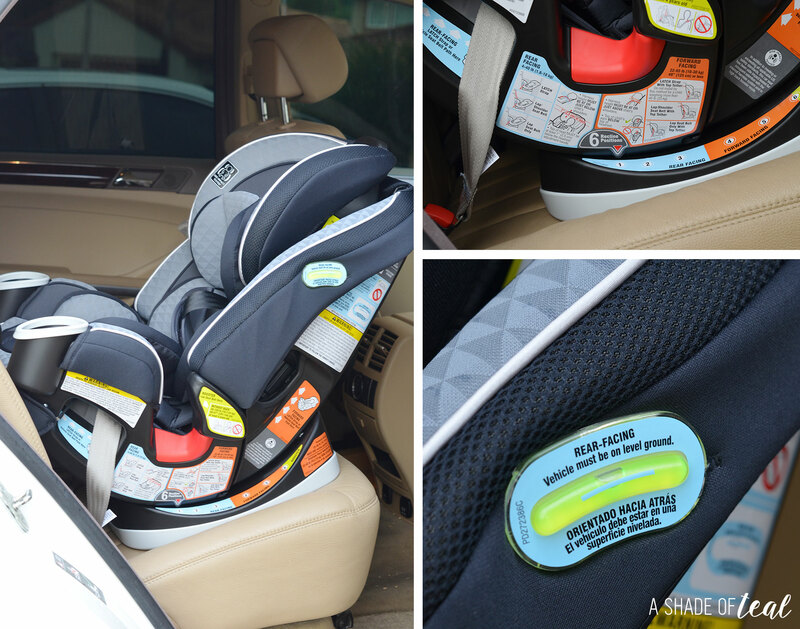 They also make it convenient to see what position is appropriate for each stage on the side of the car seat. My 3 year old is perfect for Stage 2, the forward-facing position since she weighs about 35lbs. 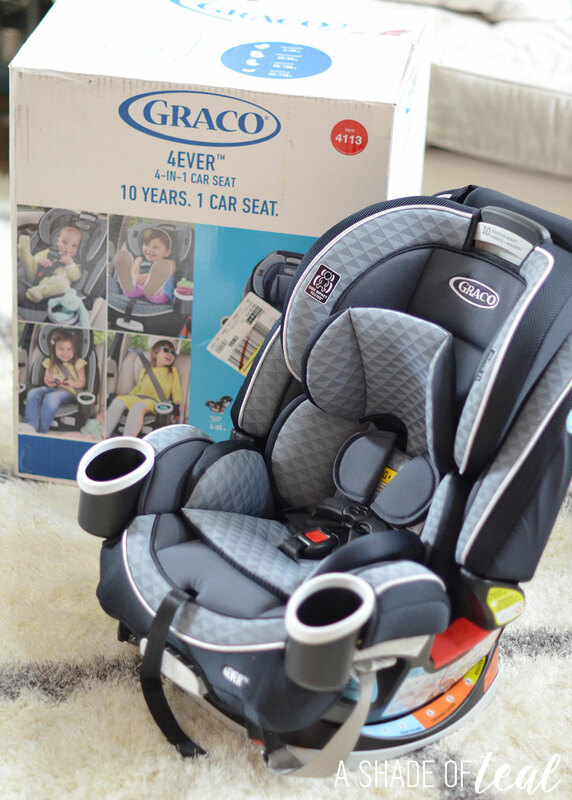 Watch the entire video to get all the details on this new Graco 4Ever™ 4-in-1 Car Seat. 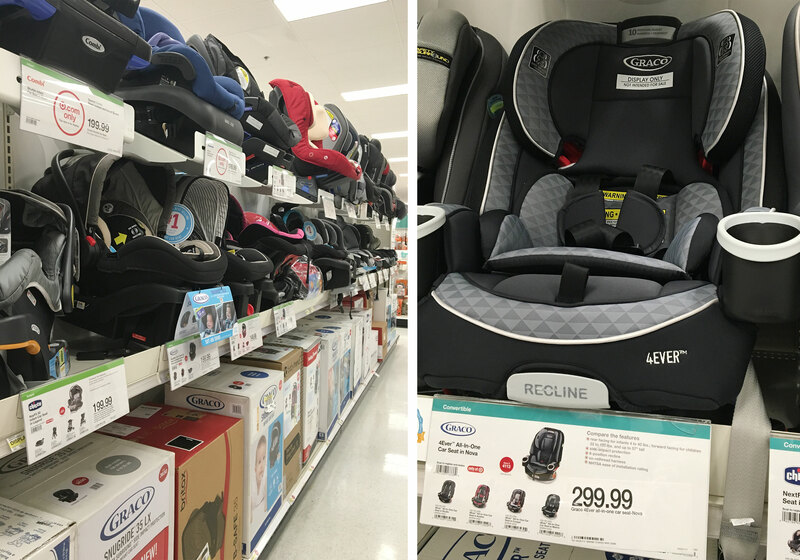 You can find most items at Target along with the Graco 4Ever™ 4-in-1 Car Seat. 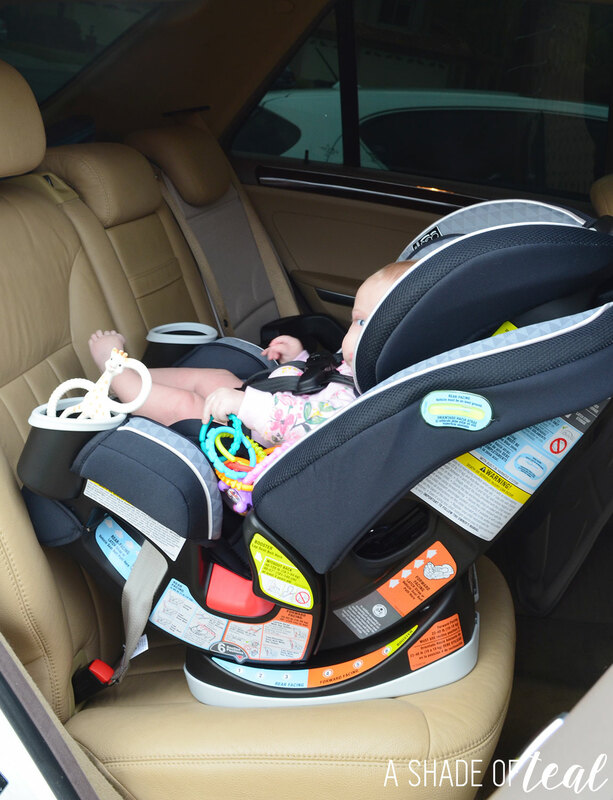 The car seat is offered in several other colors including the Nova. So if you’re looking for a new car seat then make sure to purchase the 4Ever 4-in-1 Car Seat from 11/27 – 12/3 to save $75. Is there anything you recommend for your car kit? Let me know! Our Holiday Traditions: Creating Our Own Ornaments! Now that is a basket of goodies that I would eat. I love the salty and sweet for the choices. 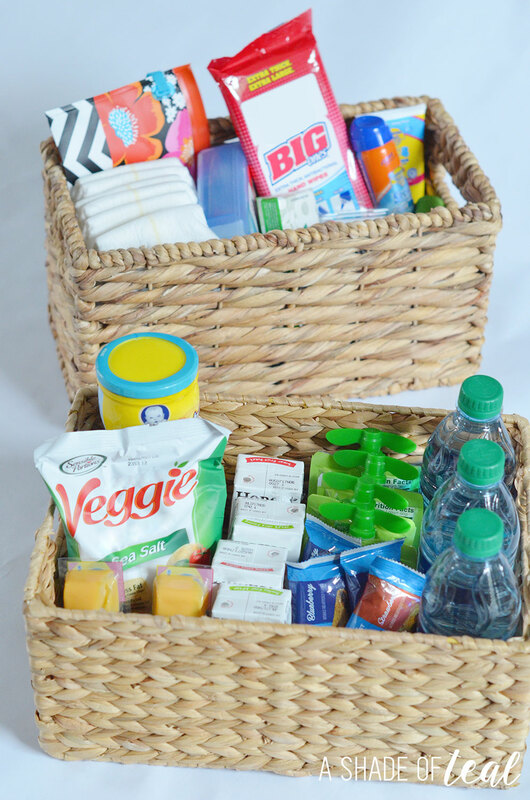 I love those adorable baskets with all your needed items! That is the same brand of carseat I use for my kids. Really trust them for safety! 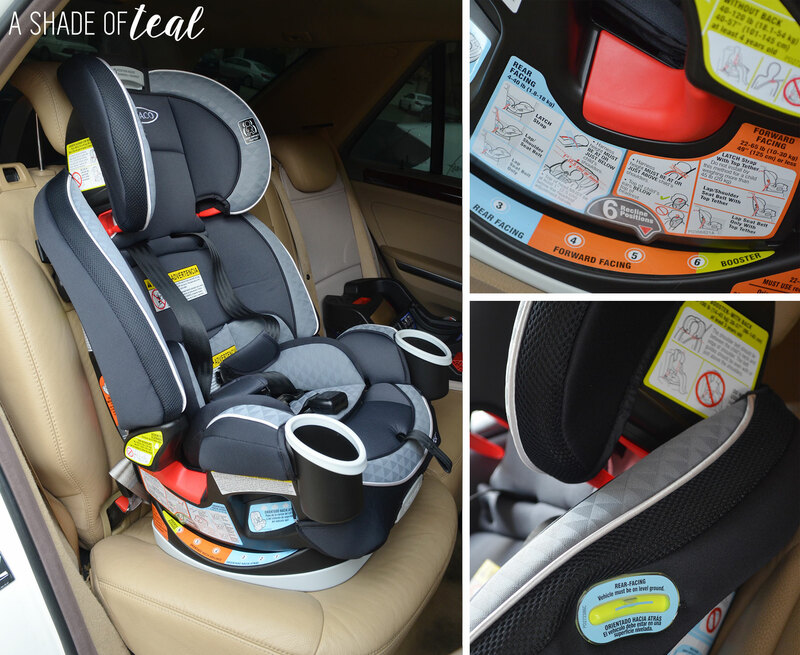 I LOVED my Graco Car Seats! 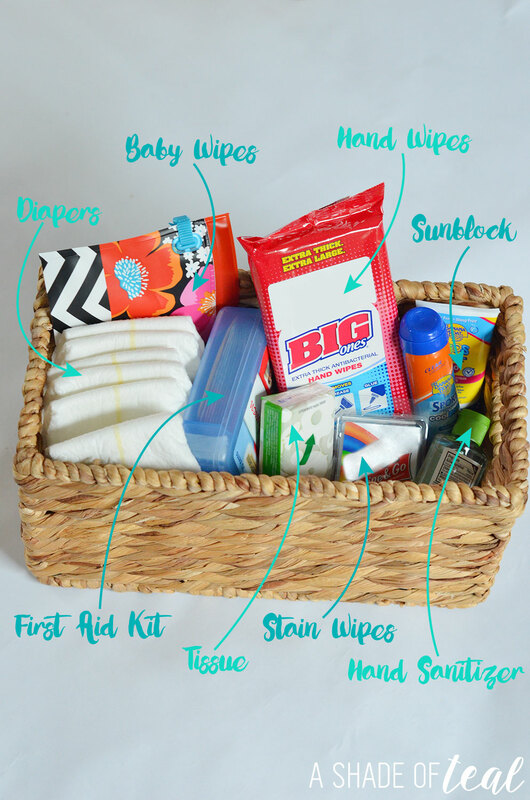 and yes toddlers need their own personal travel baskets to go on a road trip 😉 I love these ideas and I’m going to use some! That’s a great basket. It has everything you might need while riding with a toddler. It’s tough to travel with kids especially if you’re going on a road trip but with the right things prepared, you’re going to be just fine. These are all must haves when traveling with kids! We have that carseat, and I LOVE it! Plus I am so going to make the travel basket! 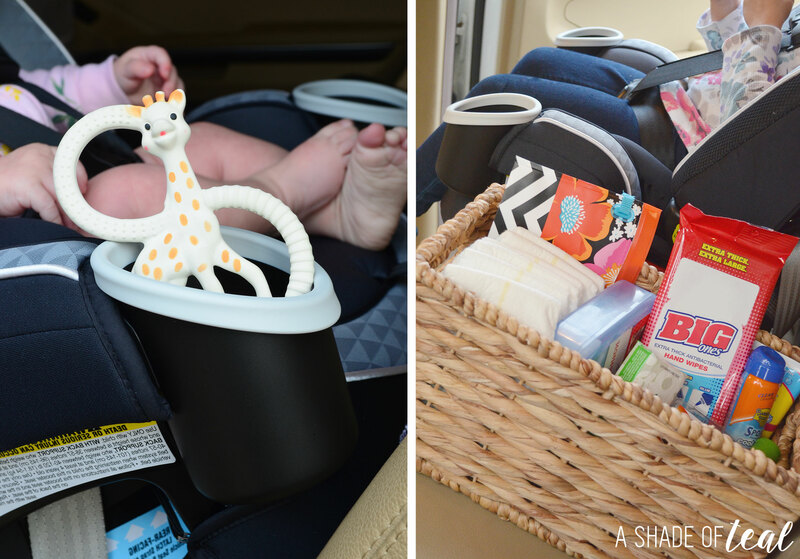 It can be so challenging to know what to pack but that carseat is a good one. 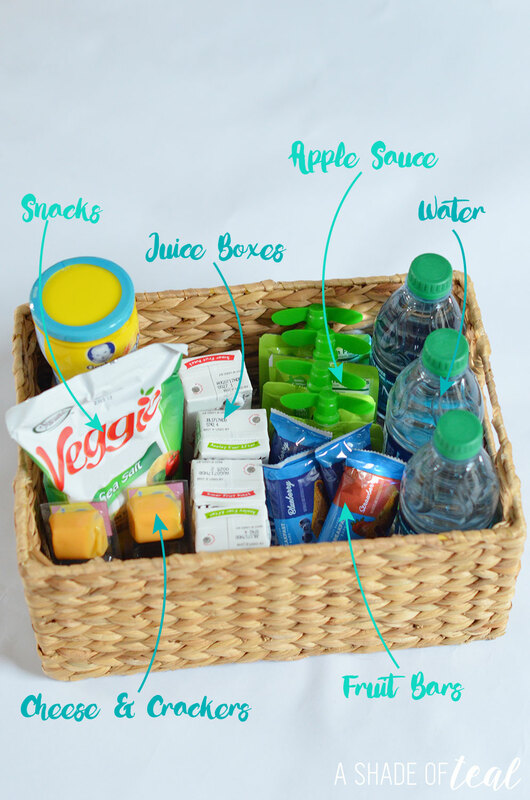 I like the idea of a travel basket as well! What a great car kit! I need one of these. That carseat is absolutely brilliant! I love the idea of the baskets! I always need a checklist for traveling. I always forget something. I love the baby changing station. I also need checklist for everything I always leave something behind! My 3 year old has used a convertible Graco seat similar to this one since we was 15 months old and still rear facing. I love the safety and quality of Graco for baby seats! Also, I love the car kits you have created. I need to do something like this for my kiddos. Graco has a best quality. I must have all the stuffs whenever we travel.. Thanks for sharing this. Very helpful. Being prepared with babies when traveling is so important! These are great kits to keep in the car. Those are challenging ages. It looks like you have everything very organized. I absolutely love that super comfy looking car seat. That’s definitely a versatile car seat. I like that the rear-facing limit is 40 lbs. I like to keep my kids rear-facing until they reach the seat limits, so that’s an important feature for me. This looks just like the car seat I got for my cousin. I love how it grows with them. Those car kits are perfect. I think that other things you might find, like in a first aid kit might be good to keep–and maybe an extra blanket and spare set of clothes. This is a great reminder for all of us to check our cars and be prepared!